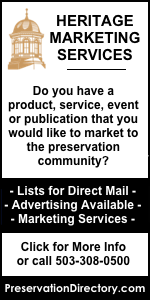 We will post regular updates detailing recent additions to PreservationDirectory.com. Advocacy Alert! We Need You to Help Protect the Historic Tax Credit! Update on the upcoming This Old House article "Best Places to Buy a Historic Home"
This Old House Magazine 3rd Annual "The Best Places to Buy an Old House"
Photos of historic districts, buildings and Americana? Do you have a press release or job listing that you would like to post? There is no cost to post information, and you can use our form by clicking here. We list press releases for historic and cultural resource preservation-related news items, in the areas of General Interest; Architecture/Design; Educational Programs & Seminars; Endangered History; Funding, Tax Incentives and Grants for Preservation Projects; Heritage Travel and Tourism; Historic Preservation & Restoration Projects; Legislation & Public Policy Issues in Preservation; Museums & Cultural Resources; National Park Service News; Researching Your Historic Home; Theater, Cinema & Opera House Restoration and Revitalization; and Urban Planning & Downtown Revitalization. 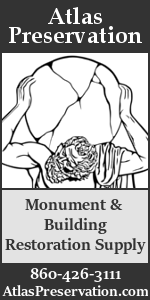 We also maintain a directory of job listings, posted by museums, historical societies, architecture firms, and preservation consulting as well as PreservationDirectory.com staff. 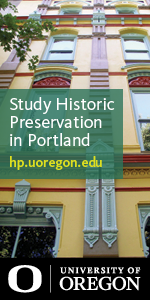 To post a preservation-related job, click here. Looking for employment in preservation/museum/design-related fields? 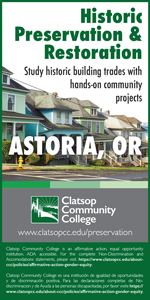 Sign up for our bi-monthly "Preservation Employment Email Updates" by clicking here. Typically 10-15 jobs are listed across the United States and Canada every 2 weeks.